Just a Juniors Tub this week. I love extra themed storage. That is all. Some cooler than usual pieces this week. More DUPLO to compliment last week's sets. Some instructions for an older Star Wars set. Bonus! A perfect green army man, older style white horse and a 2012 version pteranodon minus wings. Whoa. Amazing how my stats drop when I don't post often. I've been busy IRL with volunteer work in the community; NOT as a part of my parole deal. That's different. In the meantime, here are some nice finds. 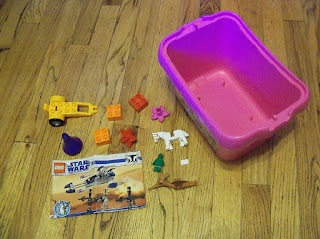 Another tub with lid, some little parts, and a deck of playing cards from LEGOLAND 2002. That makes them LEGO brand, right? Since Merlin didn't take over LEGOLAND until about 2005? Pretty basic finds today. I went at the end of the day on Friday so Most everything had been picked through. 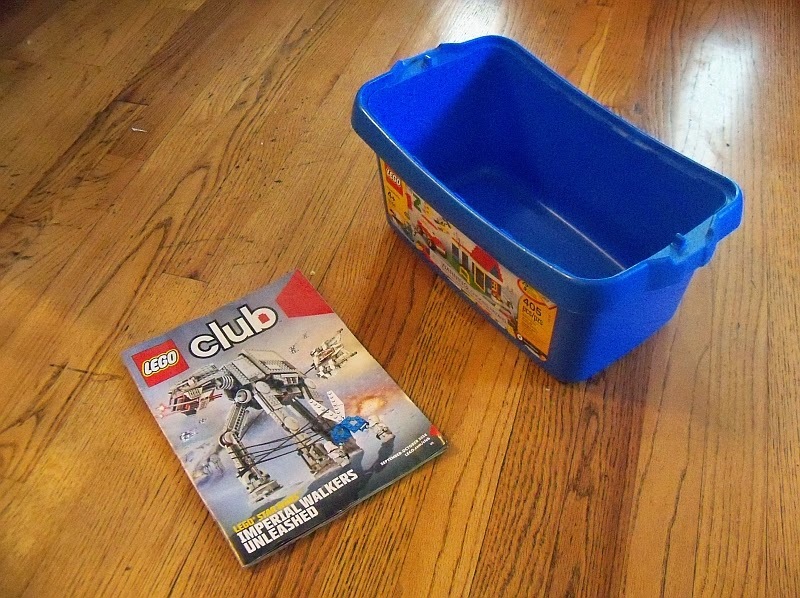 Found a tub (no lid) and a back issue of LEGO Club magazine. I normally wouldn't care about the magazine but LEGO seems to refuse me service no matter how many times I sign up. It came for a while until the end of 2013 when I re-upped. Then it quit. 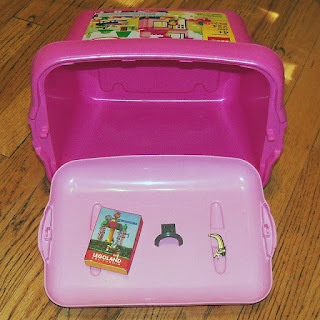 I tried once or twice after that and still I got no LEGO Club magazine. Whatever, I haven't missed it apparently. Unless I see a copy of it. I was pretty excited to find another tub lid. You'd think it would be pointless but I've collected tubless lids and lidless tubs only to pair them up later. Things got more exciting when I found the matching tub, right away. A very bizarre find this week. 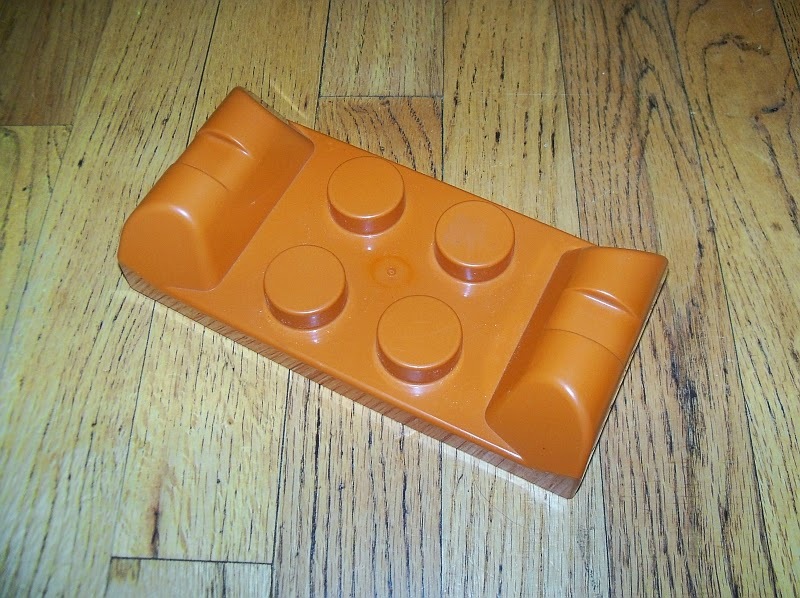 Even though it has a part number, nothing came up on BrickOwl, Bricklink, or Brickset. The great Google wouldn't give me any answers either. Can you guess what it is? Spoiler after the jump. Yeah, I was a little surprised too. This week, more unique finds than usual. The first thing I saw was a baseplate! Green, 40x40. Yeah, this is Samsonite era. But it's a wreck. It's missing a 5x8 piece out of one corner, a 5.5 x 13.5 chunk from another corner, has a few blown out studs, and several weak spots. And the bottom is terribly scuffed. Much as I hate to, this might be a candidate for cutting down to 32x32 size. A more pleasant find was the lid to last week's tub. 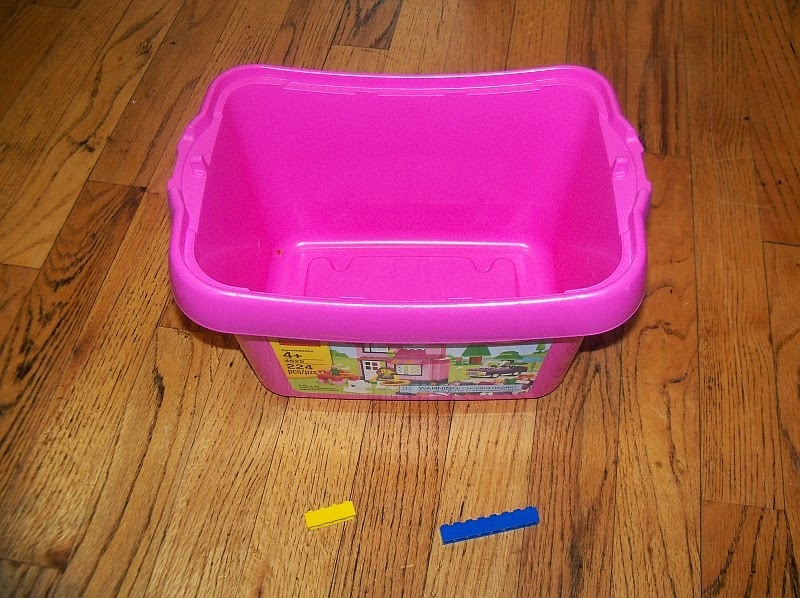 Now my 6 year old can have her own complete pink LEGO tub. Half of Hoth was also discovered as well as the rear end of either the new A-Wing or the Home One Cruiser. I'll be keeping my eyes open next week just in case Lando shows up. A little late posting this week but I'll backdate it and we'll all be fine. I found a couple more of the blue and yellow 1x bricks to match last week's lot. 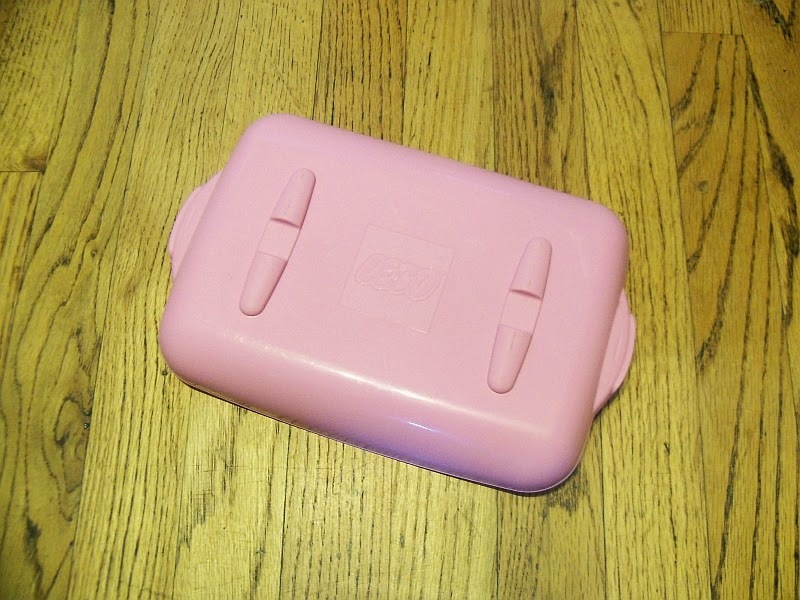 Also a pink tub. Doesn't match the pink lid I found last year. Finally! After several weeks of very little to nothing, there was a small haul. All over the map too. First, a black City briefcase and dark bley knit cap. Then a Bionicle mask, weapon and random piece (hooked on the Technic ring), plus a Knights Kingdom helmet. A Technic ring that's likely from the Ninjago spinner arena set. Plus a Quatro piece and a Tub lid. Over the past several weeks I've been taking a look at different sizes of LEGO sub brands and comparing them to the System standard. From little to big those have been Modulex, DUPLO, Quatro, Primo, and Tubs and Cups. 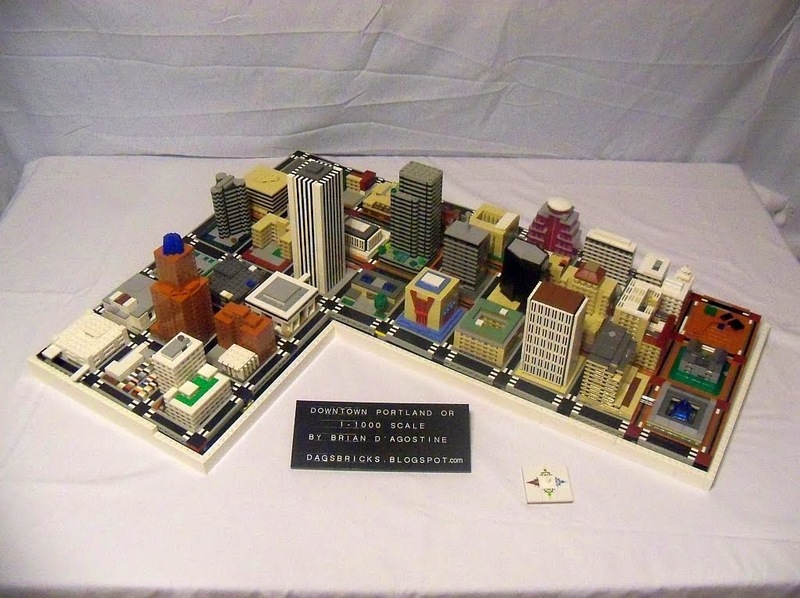 Unfortunately my collection is devoid of any Jumbo Bricks or Soft Bricks. When and if I can get my hands on some I'll be sure to post about them. From what I've seen on the interwebs, Jumbo is between DUPLO and Quatro in size while Soft Bricks are about the same size as Primo, stud notwithstanding. Want to score mega bonus points with me? 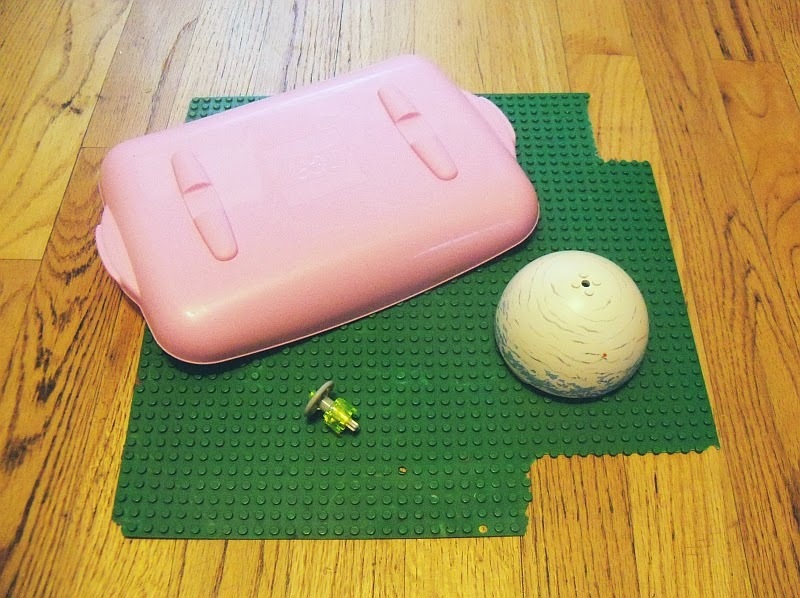 Send me a yellow 2x2 Soft Brick and I'll gush about how wonderful you are in your very own blog post. Some of these systems are immediately compatible with each other, some take a little more tinkering and ingenuity. If you need a little help with size comparisons and what might fit where, take a look at the handy-dandy chart I created and made public. If you have definitive dimensions to help fill any of the voids please feel free to share. Jumbo Bricks and Soft Bricks could use the most help. I feel like I did a good job of hitting all the sizes. What else did I miss? 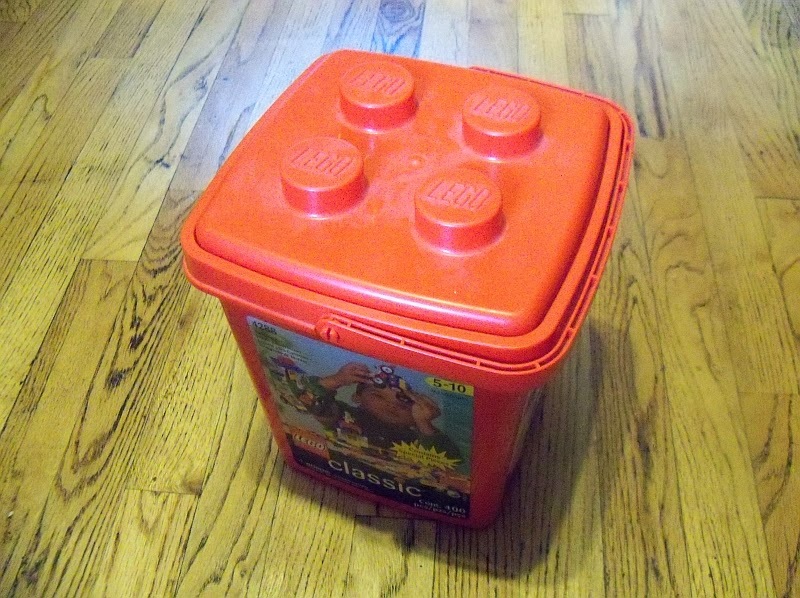 Funny that I picked up three stud sizes this week having just covered DUPLO and Tubs recently. I hunted for the bucket but to no avail. I guess not everything can be complete. After our recent discussions on DUPLO, Quatro, and Primo, there is one even larger size of stud to consider. Did you realize that The LEGO Company has made and continues to make pieces with a stud diameter of approximately 48mm or 10 times larger than a standard LEGO System stud. "Where can I get these pieces!?" you may ask. Unfortunately you can't buy these pieces by themselves. You generally have to buy a bunch of other pieces to get them. These pieces are the older studded tubs that LEGO sets used to come in (I make this assumption as I haven't seen any on store shelves in a while) or the Pick-a-Brick cups. 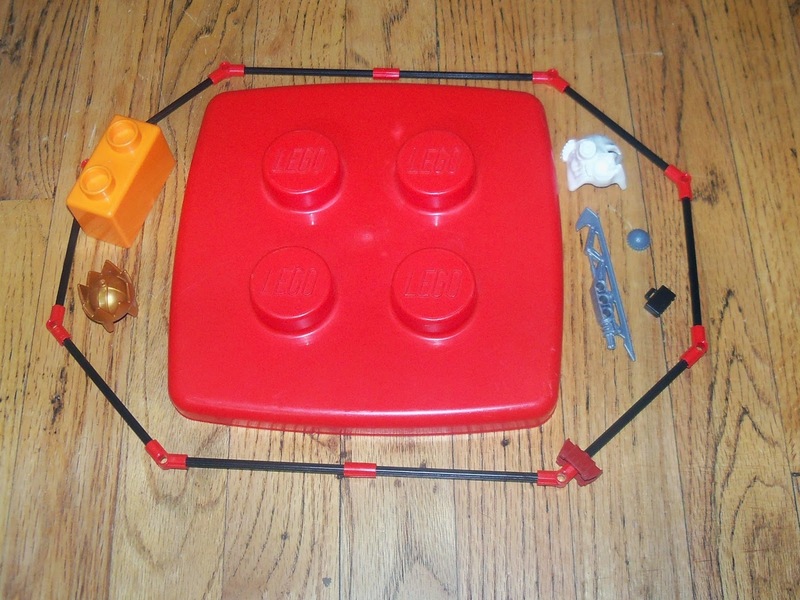 LEGO in their inherent genius has made even these large elements stackable. The studs on top have a slightly more pronounced graduation to them which is why I said approximately 48mm. The bottom of the stud is 50mm wide and the top (just before the bevel) is 48mm. The very top not including the bevel is about 44mm. The bottom of the PaB cups are also indented (much like a wine bottle) to allow other cups to stack on top. This gigantic anti-stud is of course also graduated. These conical contours are based on the necessity for compact stacking of the cups next to your local PaB wall. So what can you do with these studs? The first answer is obvious. You could get a bunch of 2x3 tubs and stack them to make a life-size fort. Use the PaB cups to top off your ramparts. Of course the clutch power is worse than a MEGA-blok so the only defense you have is to push it over on your attacker once he's at your wall. Game over. The second answer would involve finding some sort of piece that could step these fatties down to System size. Being 48mm wide, the studs are the same size as a 6x6 round plate or dish. Given the looser tolerance of the cups, the only place a 6x6 round will fit snug is to the inside of the lid stud. For once though I am flabbergasted on a missed opportunity. As noted in my previous post on PaB cups and holiday boxes, the small cups are precisely half the VOLUME of the big cups. However the small cups are slightly LESS than half the height of a large cup. Were the large cup to be a touch girthier than the problem would be solved. As it is, the small cups are 78mm tall and the tall cups are about 170mm tall. This is just shy of 8-1/3 studs and 18 studs high respectively.